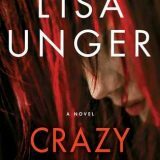 Crazy Love You by Lisa Unger had so many elements I love from an unreliable narrator to a twisted thriller with a dash of mystery and romance that kept me flipping the pages. Brilliantly paced with depth, suspense and an underlying paranormal element Crazy Love You delivered. 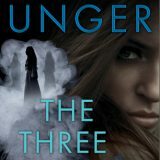 The Three Sisters is the final Whispers novella by Lisa Unger and one I enjoyed despite wanting more, more, more. Mysterious apparitions, souls in need and time spent getting to know Finley, Eloise’s granddaughter was fun, and I easily consumed this. The Burning Girl the second novella in a Whispers Story by Lisa Unger picks up ten years after Eloise Montgomery first discovered her physic abilities. We see the toll this gift has taken on her, and get updates on her daughter and the detective who helped her on her first case. 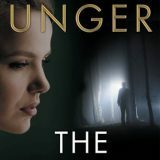 The Whispers is the first of the three novellas and a prequel to the full-length novel Fragile by Lisa Unger. In the Whispers, we meet Eloise Montgomery and learn how she developed her psychic gift. 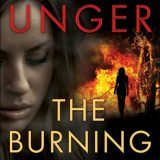 Unger writes a gripping tale that immediately warms you to the protagonist. Her visions make you shiver.